All Business Auctions Designed by Frooition! eBay stores design leaders Frooition – www.frooition.com – have joined forces with All Business Auctions to provide world-class eBay store design services to eBay sellers and established brick and motar retail & wholesale businesses in the USA. Frooition provides design & eBay store management services through its unique and proprietary software for eBay sellers and corporate businesses throughout the UK and internationally. All Business Auctions recognized Frooition as the leading eBay stores design firm in the world and worked to leverage the experience and innovation Frooition provides for its US clients. 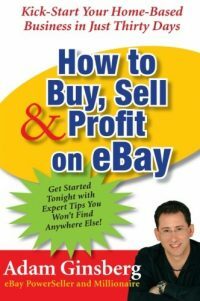 Scott Pooler, CEO of All Business Auctions, says, “There is irrefutable evidence and a proven track record which reveals that the quality, accessibility, look and feel of an online or eBay store’s presence can have a significant effect on any business’ sales conversion rates. Our service oriented business model is directed at providing the very best solutions for America’s businesses and we feel adding Frooition designs to our portfolio of online sales solutions significantly strengthens our position as a premier solutions provider. Frooition’s’ unique and interactive designs build credibility and trust within the online or eBay buyer/customer. 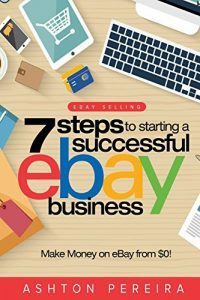 This means even the small to medium sized brick and motor retailer or online business can now look as good as major branded names, and major brands can strengthen their eBay and online image as they do with their retail locations. Frooition has earned a reputation for being the best eBay store designers and managers on the planet, and we at All Business Auctions are delighted Frooition has joined with us to provide our clients with those world class design and eBay store management solutions. All Business Auctions and Frooition along with AuctionLogic (Business class eBay listing Software solution) are pleased to bring their best-of-class products and services together to ensure America’s businesses are able to rapidly grow with a highly cost effective yet world-class and professional online business. 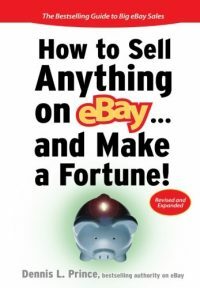 This is a significant development and it means All Business Auctions clients now have immediate and one stop access to all of the various elements necessary to create, establish and operate a successful and profitable eBay online business. All Business Auctions, combined with Auction Logic’s business class eBay listing management tool and Frooition’s outstanding eBay store and cross-selling eBay template designs, gives U.S. businesses a true all-inclusive solutions provider. All Business Auctions’ clients can expect an extraordinary level of service and exceptional technical and marketplace skills now with the added bonus of Frooition’s expert e-commerce design knowledge and experience. “The inclusion of the massive amount of design experience, impressive form factor, customizable themes and e-commerce retailer look feel and conversion rates which Frooition brings to the table is a major breakthrough for All Business Auctions and AuctionLogic. We are proud to be representing the quality of work and integrity of design which Frooition offers”, says Scott Pooler “All Business Auctions is a better and more complete eBay service provider for our clients now with the inclusion of these services”.